The star chef shares simple ways to add a Mexican twist to every meal with tips inspired by his new cookbook. 9 A.M. Stir a spoonful of sweet-sour dark chipotle seasoning and a handful of crumbled bacon into your cream cheese to spread on your morning bagel. Noon: Warm up a stack of kitchen towel–wrapped corn tortillas in a vegetable steamer for a simple lunch of garlicky greens-and-beans tacos. 3 P.M. Swap your $12 green juice for a homemade licuado, made with pineapple, lime juice, chopped mint, cilantro or parsley, and greens like alfalfa, kale or spinach. 6 P.M. Learn a new vocabulary word: enfrijoladas, an enchilada-style stuffed tortilla finished with a bean sauce. Practice your pronunciation while you prepare Bayless’s fava bean version. 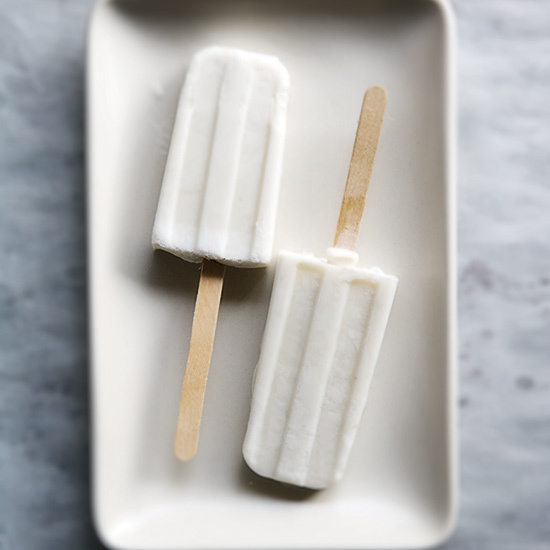 9 P.M. Catch up on your telenovelas while you enjoy a coconut-lime ice pop (pictured; extra credit if you call it a paleta) for dessert.